The Executive Committee’s purpose is to lead and manage the organisation by implementing Airservices corporate strategy and key underpinning activities in pursuit of Airservices Australia’s mission, vision, and corporate objectives. The Executive Committee comprises the following members. Other senior managers may be called on to attend meetings in an advisory capacity as required. 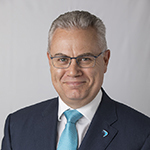 Jason Harfield was appointed Chief Executive Officer on 9 March 2016, beginning his career with Airservices as a flight data officer in Adelaide in 1989. With more than 30 years of experience in aviation and the air traffic management industry, Jason has been a core member of the Airservices Executive Leadership Team since 2005. His executive leadership roles included leading the safety and future services functions as well as leading and transforming the air traffic control operations through the introduction of new services, advanced airport capacity and air traffic flow management capabilities, whilst reinvigorating Airservices largest operational workforce. Prior to this, Jason held a number of operational management and senior management positions including Australia’s Head Air Traffic Controller and Australian Airspace Regulator as well as operating as a qualified operational air traffic controller. Jason has an EMBA from Melbourne Business School (Mt Eliza) and has completed the Advanced Management Program at Harvard Business School. He is also a fellow of both the Australian Institute of Company Directors and Royal Aeronautical Society as well as a private pilot. 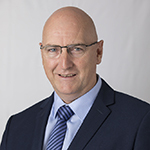 Rob Porter returned to Airservices Australia in January 2019 to take on the role of Executive General Manager Aviation Rescue Fire Fighting Services (ARFFS). ARFFS spans a team of more than 1000 professional fire fighters, emergency vehicle technicians and support staff located at 26 of Australia’s busiest airports. Rob’s more than 30 years’ experience in the aviation industry includes almost two decades with Airservices ARFFS in operations, progressing from aviation fire fighter to Chief Fire Officer. Following Airservices, Rob spent 11 years managing operations at busy regional Queensland airports in Mackay and the Gold Coast. 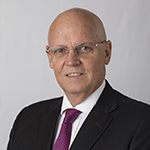 He has actively contributed to local business communities as chair of Mackay Tourism and Mackay Stadium, as well as supporting the Australian Airports Association as Queensland Director and Deputy Board Chair. Rob is a Graduate of the Australian Institute of Company Directors. 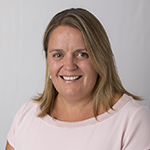 Michelle Bennetts was appointed as Executive General Manager, Customer Service Enhancement (CSE) in April 2018. This is a newly established function with the objective of ensuring service enhancement investments maximise the benefits to our customers. Prior to this, Michelle lead the Aviation Rescue Fire Fighting Service across the country, a team of nearly 1200 professional fire fighters, emergency vehicle technicians and support staff. Michelle joined Airservices in 2005 and has been part of the Airservices Executive Leadership Team since 2007. Her previous roles in Airservices also include Executive General Manager, Projects and Engineering; Executive General Manager, Environment; Acting Executive General Manager, Corporate and Industry Affairs and General Manager, Audit and Assurance. Prior to working with Airservices, Michelle spent more than a decade in the professional services firms, working first with Deloitte and then with KPMG delivering audit, risk and governance services to many large organisations in a variety of industry sectors. Michelle has a Bachelor of Commerce/Bachelor of Information Technology from the Australian National University, a Graduate Diploma in Management from the Australian Graduate School of Management, has completed the Advanced Management Program at the INSEAD business school and is a Graduate of the Australian Institute of Company Directors. 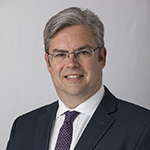 Paul Logan was appointed as Airservices Chief Financial Officer in May 2016, to provide strategic financial and commercial management of Airservices operations. Prior to this, Paul was General Manager Accounting Services and responsible for the organisation’s pricing strategies and investment analysis. In this role, Paul directed Airservices corporate accounting and governance of group financial management. He was responsible for the taxation, treasury and insurance obligations for the organisation and the oversight of the corporate shared services functions. With more than 26 years of experience in the air traffic management and civil aviation safety industry Paul has led a number of key change programs to establish an external customer centric focus through the establishment of service performance reporting frameworks and engagement programs. Paul was instrumental in the development and implementation of long term pricing arrangements aimed at yielding efficiency gains and providing price certainty for the aviation industry. Paul has also achieved continuous improvement in the efficiency and effectiveness of internal business processes. Paul is a Fellow of Certified Practicing Accountants (CPA) Australia. 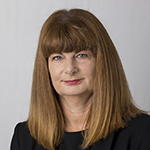 In Claire’s previous role, she oversighted the organisation’s Safety (service delivery and Work Health & Safety) and Environment Management Systems, and the international engagement and assistance programs. In previous roles in Airservices, she oversighted a number of other organisational functions including enterprise risk management and operational analysis, and for a six month period she acted as the Executive General Manager, People and Change. Claire is the co-chair of the Civil Air Navigation Services Organisation (CANSO)’s Future Safety Development Working Group. The Future Safety Development Working Group allows ANSPs to work together to develop their safety management approaches and address potential future safety issues in a collaborative manner. Prior to working for Airservices, Claire worked as an air safety investigator and conducted research that supported regulatory change in aircraft cabin safety. Claire has undergraduate and post graduate degrees in Psychology and a PhD in a human factors discipline. Chris Seller was appointed to the role of Chief Information Officer (CIO) for Airservices in September 2016. Prior to joining Airservices, Chris held senior technology executive roles in companies such as Westpac and Qantas. This included two years as Jetstar’s first CIO as part of a 14-year career with the Qantas Group, during which he rose to become the flying kangaroo’s Chief Architect and Head of ICT Operations. With 30 years of experience in the Information Technology industry, Chris has forged a career covering significant roles across technology strategy and transformation, infrastructure and operations, enterprise architecture, strategic sourcing, organisational change management, program management, and applications development with industry experience extending across financial services, aviation, commercial software development, and cartography. Chris’ initial major focus area in his new role as CIO for Airservices will be to ensure we get the right technology systems and organisational structures in place to prepare for the changes occurring in the global air navigation services industry. This will include programs to exploit the value of our information assets, implement systems to drive greater interoperability with our partners and customers and to help realise and drive new business opportunities and services outcomes these changes will enable.